Charles White. Missouri C. 1972; Etching. Charles White believed that “art should take its place as one of the necessities of life,” and he used his skill as a printmaker to make images that would reach as many people as possible. In that spirit, these workshops invite participants to make their own drypoint prints in response to White’s innovative work in this medium. 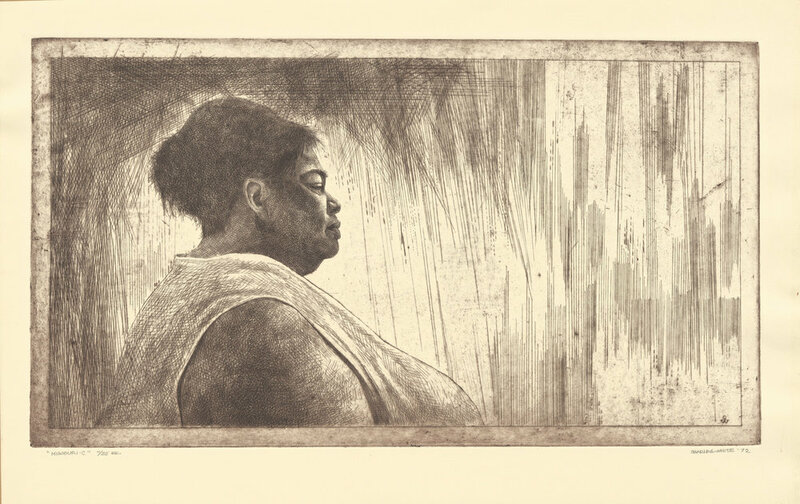 Each session is led by an artist and planned with the EFA Robert Blackburn Printmaking Workshop, whose founder, Robert Blackburn, was White’s primary printer in New York.